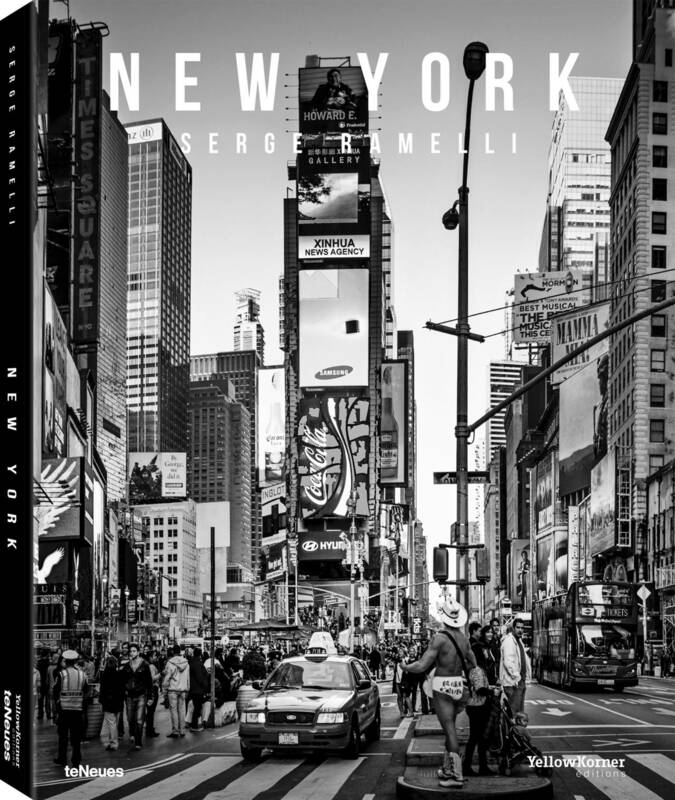 © New York by Serge Ramelli, SMALL FORMAT EDITION, published by teNeues, www.teneues.com. TIMES SQUARE BY DAY, © 2015 YellowKorner Editions, Photo © Serge Ramelli. All rights reserved. Black-and-white urban photography has a unique effect: It can lend a historical feel or bring out perspectives and surfaces in a special way. Serge Ramelli’s New York photos do both—and much more. With his film director’s eye, he searches out locations using parameters that evoke a specific atmosphere and build tension. The New York skyline or typical New York street scenes are stylized into a stage—but a stage where nothing is required to happen. Their impressiveness is so heightened that a movie automatically plays in the viewer’s head. With New York boasting so much history and evocativeness, nothing more is needed. Although he is similar to Ansel Adams in technique and expression, Serge Ramelli is a contemporary photographer in every sense of the word, constantly experimenting with new technical options. After Paris, New York was Serge Ramelli’s choice of second instalment for his photographic diptych of contemporary cityscapes, and it’s certainly no coincidence that the photographer selected this super-sized city as the subject of his second book. How could he fail—he, the self-taught photographer—to pay homage to this, the city of the willing, the self-made men, and the resourceful? And how could this great lover of cinema have chosen any other backdrop or any other film location than that of the Big Apple, made immortal by more than a century of legendary cinematography? An eager lover of dramatic imagery, Serge Ramelli is constantly on the lookout for spectacular lighting, whether natural or artificial, and with its gigantic advertising and garish boards New York is an almost perfect city for such a hunt.